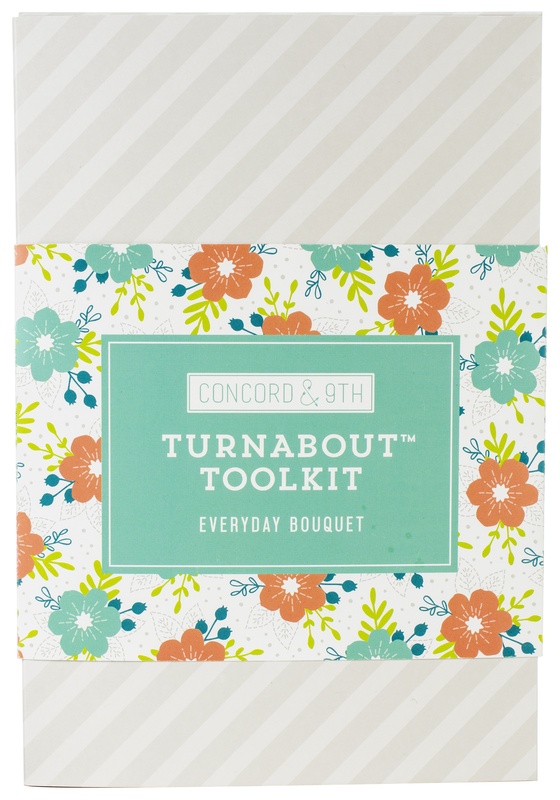 This 7x10.125 inch package contains Everyday Bouquet Mini Turnabout stamp set, 6x6 turnabout jig, temporary adhesive, adhesive remover, everyday bouquet dies, white cards and envelopes (4), and instructions. WARNING: Choking Hazard. Not suitable for children under 3 years. Made in USA.